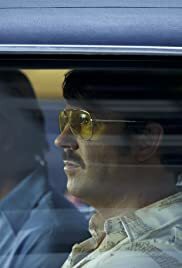 Irish Nick Hamm directs DRIVEN based on the outlandish true story of the John DeLorean (Lee Pace) the designer of the car of the same name (the vehicle used in BACK TO THE FUTURE), the rise and downfall of him and his Californian neighbour Jim (Jason Sudeikis). This is the second film about drug snitching after WHITE BOY RICK but in this one the federal drug agent, Ben Tisa (Corey Stoll) is more effective. While Hamm tries to dramatize the events, a lot of the film depends on the technical details of the case, which might bore a few people, judging front a number that left the theatre during the showing. The fact that Hamm is Irish is clear with the facts emphasized that Belfast made the Titanic and a lot of workers will be out of work if the DeLorean manufacturing money does not go through. The story is already crazy enough without having to put in the ridiculous 10 second ending which obviously did not happen. Good period 70’s atmosphere coupled with superb performances by Sudeikis and Pace.